Most companies will by now have a recycling policy and actively separating their waste items into various bins to prevent anything recyclable from going to landfill and incurring potentially heavy fines, but as this is not a free council run service, the cost to hire and remove these skips can also be a drain on your financial resources. 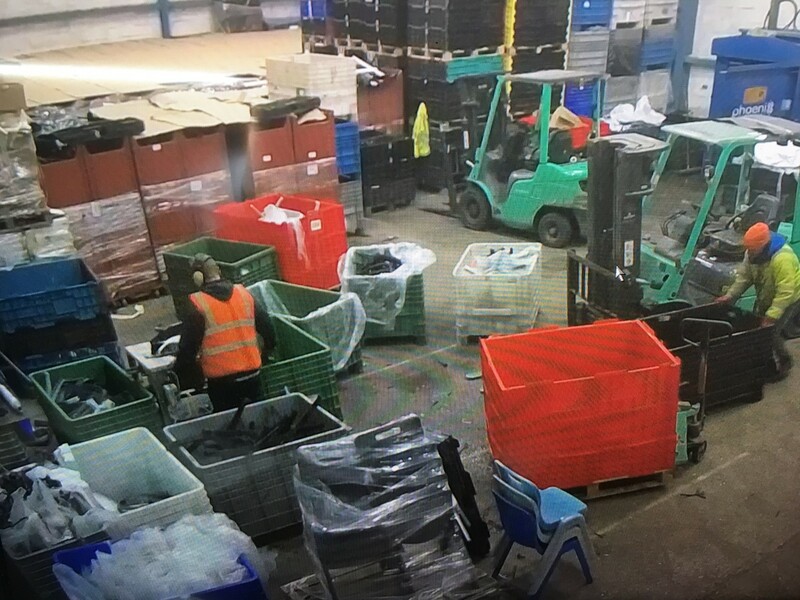 To assist smaller companies, City Recycling can offer sectional crates, free of charge, to use for the storage of clean and recyclable plastics and cardboard. All we ask is that materials are clean, separated correctly and identified ( see plastics type box for symbol explanation) and that you use our services on an ongoing basis. We will purchase materials at a fair market price, then collect and replace these crates at a mutually agreed time or volume, and if required, return any granulated material for re-use. The crates remain the property of City Recycling and should be returned in the event that they are no longer required. ( see terms & conditions). For further details and prices, please contact us.